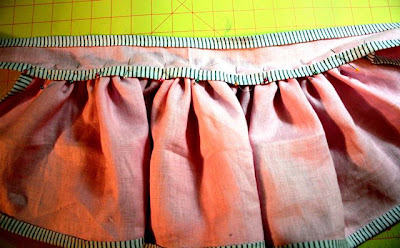 -fabric 54" long (1.5 yards)--I used linen, but you can use other fabrics as well. sheer, cotton, whatever you choose! I think flowy fabrics would be prettiest. and 8 1/2" x 54" (cape). 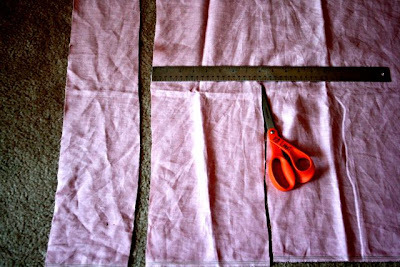 (this is how I attempt to cut it all the same width: I move the ruler down a bit at a time, and cut toward the inch mark.) I prefer this to marking it repeatedly down the length. 2. pin the bias tape around the ENTIRE long, skinny strip (in my photo I hadn't finished) and sew. 4. sew a long-length stitch down the un-"taped" edge and then pull the string to gather. 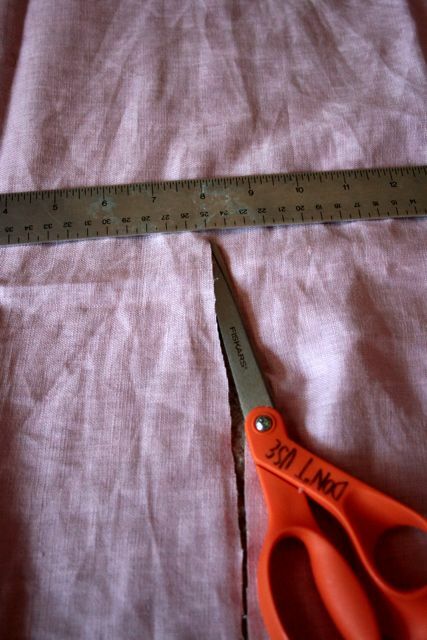 5.pin the long strip on top of the cape part, making sure you center the strip. 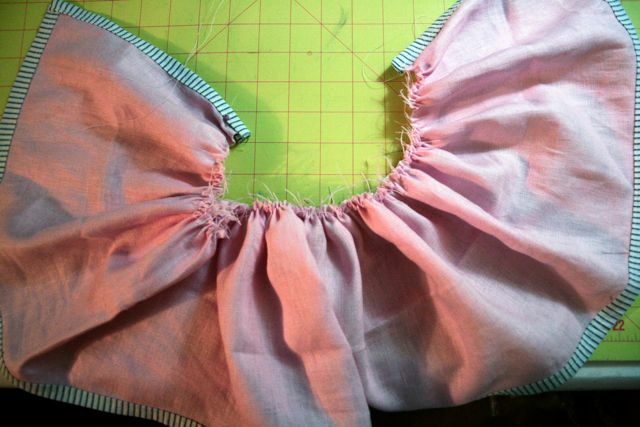 sew. What a fun piece! 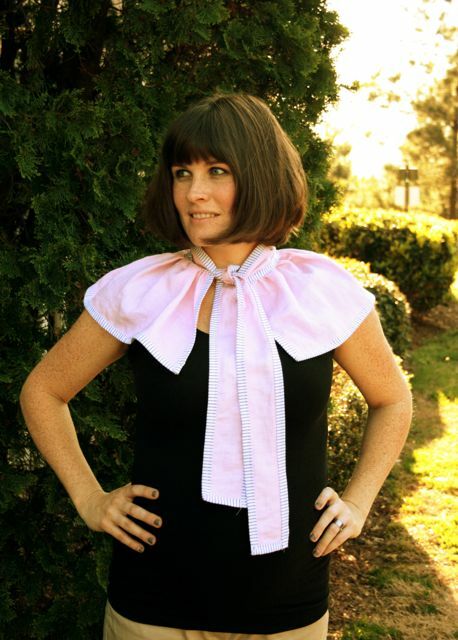 I love the pink- perfect for spring! Thanks for sharing the details, I'll be spreading the word. I just found you via One Pretty Thing. 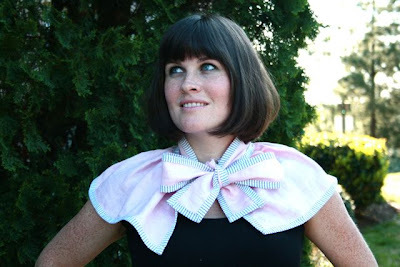 Your capelet is lovely.